There was only one circuit it could face in the final, and that was Monaco, but the end result wasn't even close as Spa romped away to victory. Some of the earlier heats were much less obvious, though, and it was a fascinating journey around the globe as we narrowed down the calendar to just one characterful circuit. How did Spa do it? It was the initial matchup to end all matchups - Spa and Silverstone meeting in the first round. As soon as the draw was made, the hype began, and we knew it would be a good one. As it turns out, it created some great conversations, but the eventual voting was not that close, and Spa took the victory by over 100 votes. The Belgian track then had to face off the inaugural night race, but history won out over novelty, and Singapore was also consigned to its fate. 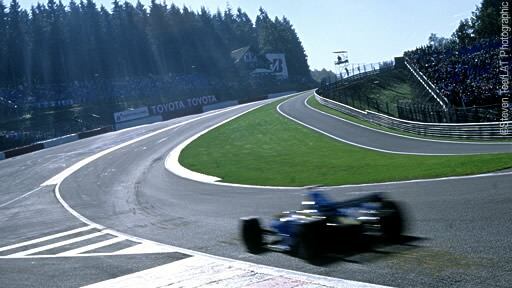 A quick semi-final against Monza, and Spa sealed the victory to become the 2009 champion. We saw a few other tracks make it a fair way through the competition, with both Monza and Suzuka faring well at their respective ends of the matchups. Albert Park was also a popular destination, but the real surprise came in the form of the Hungaroring. Having been mentioned on a Hungarian site, the polls were bombarded with some Hungarian votes. Whilst some were worried this would skew the competition beyond repair, it only threw the new Nurburgring out of the first round - not a huge loss, I'm sure you'll agree. Plus, it just goes to show how loyal fans can be. Bernie could learn a lot from this. Thank you to everyone who joined in the fun and took the time to vote. We had almost 1,000 more votes than last year, and that wasn't all on the Hungarian matchup. If you've got any ideas of future Cups we could run, then please feel free to leave them in the comments. Otherwise, we'll simply be looking forward to the race at Spa this year. Next post Could this be the end?